In an effort to clear out all of my remaining sales, I have made all but five things $3 or less! 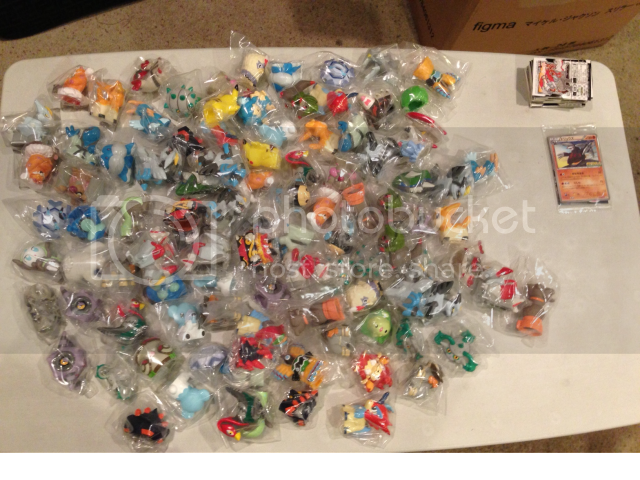 That means swing keychains, tomy keychains, Tomy figures, Jakks figures, MIP kids, and a few others are only, at most, $3! I also have Battrio Coins for $.60 each. Please check it out!! Well, it certainly has been a while since I've done any posting here! Anyone who frequents r/Pokemon or r/pkmntcg may have already come across it, but I've finally finished my English and Japanese Buizel card collection! 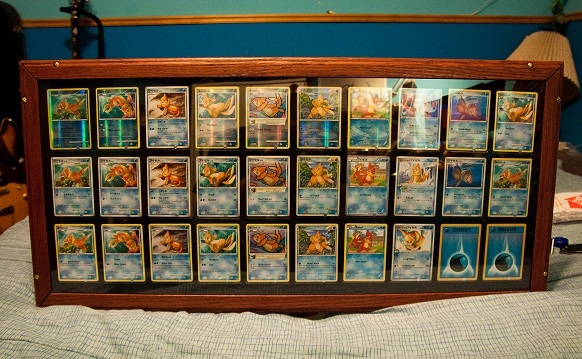 Need Display Idea... Also, Facebook Page! So I saw a_wild_buizel's Buizel collection displayed all nice and pretty and it inspired me to want to do something else for my ever-growing Eevee collection. Now, currently it is stored in a 3 inch ring binder, and my problem is that the collection is so large I can't really display it as nicely. 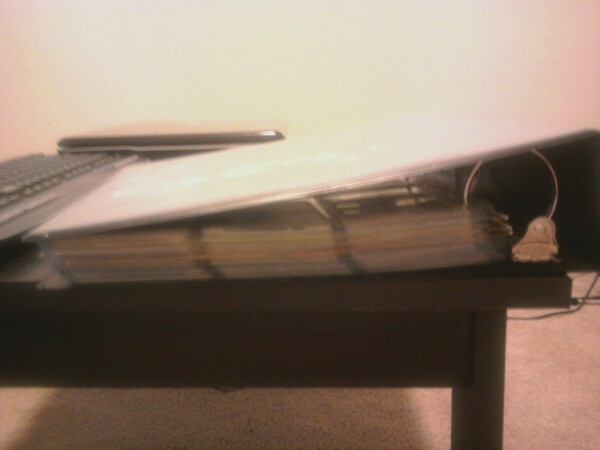 I know it deserves better than a binder, so what are your ideas? Here's a picture of my current situation. I am also announcing that I have created a Facebook page, so feel free to stop by and take a look. There's not a whole lot there right now, but hopefully that will change! Not sure if I can afford it ? edit: is "animestuffstore" on amazon, in IL, reliable? Hello collectors! i was wondering if anyone had a Vaporeon Jakks for sale? The reason why im wondering if because its the last one i need to complete the set! Following white_chocob 's post, just thought I would plug the other Zukan GAs the seller is running. There are some very rare RSE in them and they are large lots (which the comm seems to win more easily) so let me know if anyone would like to run one! I can do threads, or you can just run them on your own if you would prefer. Post here or PM if you would like the link(s)! These are Y!J lots. This is the reminder that my Leavanny line GA is going to end tomorrow 2AM EST. Bids are still pretty low! awesome zukan find = a livestream! a box of sealed dialga set of zukan! I bought out the entire stock the store had! TODAY AT 9:30PM GMT, THATS AROUND 2:30PM US PACIFIC TIME! ENDED! WOW that was a lot of leafeon/glaceon! we owned that zukan box! <3 thanks for everyone that dropped in! also if you post here confirming your claims (I have a rough list but chat was being super weird) I would greatly appreciate it <3 thank you! and congrats to the contest winners! One again thansk so much for making this a success! Looking for a **REAL** FR + LG. 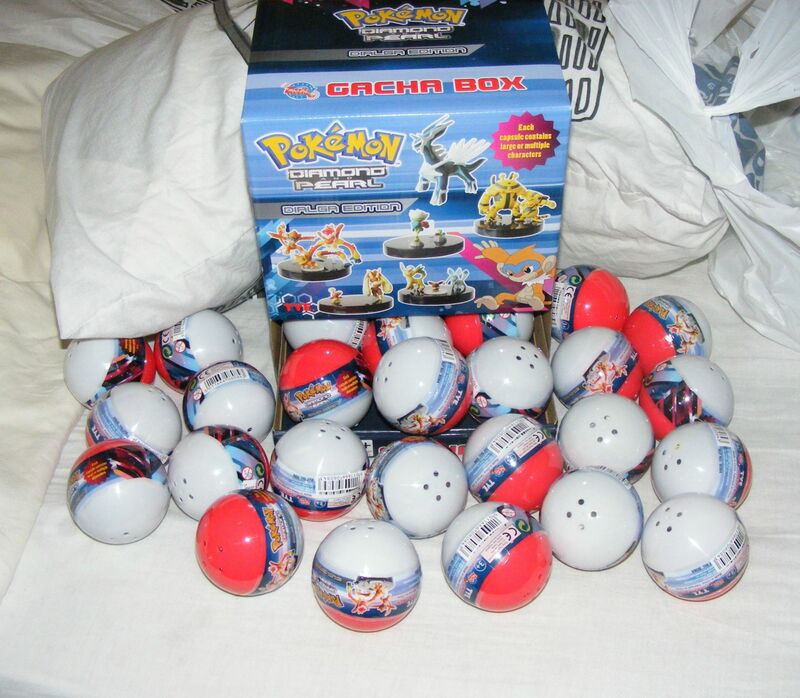 I got scammed today trying to buy Fire Red and Leaf Green from an American seller on Ebay. Well, they screwed me over just like the Hong Kong sellers do. 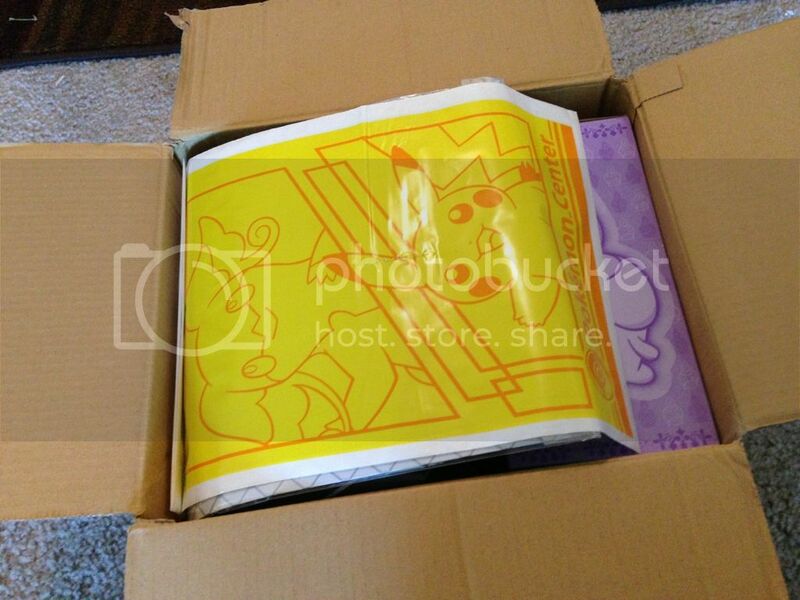 I am looking to buy them together for maybe $25 shipped, since I already wasted a lot of my money on fakes. Anyone that could help, I will pay as soon as they offer. 100 KIDS (+ 12 ZUKAN) LOT! THE 100 KID (AND 12 ZUKAN) LOT!!! Shiny, Shimmery, and Clear Auctions! Alright, so Dory has decided to adopt a family of sugar gliders...and I need monies...BAD. 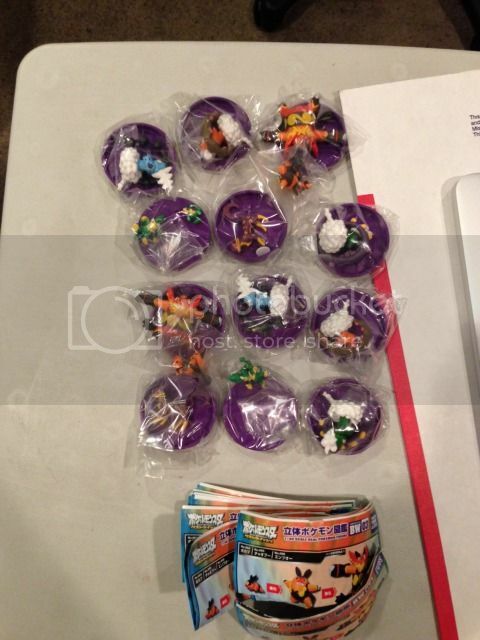 So...I'm doing the dastardly deed of selling my shiny and clear hoenn kids auction style. Some shines starting as low as $25! Anyway, shimmery movie kids and clears start prices may range from $5-$25. I would really like all the figures to get taken. Please know that I am OK with payment plans! However, pp fees will be included with each payment. From the seas of Sunyshore! BW2 US Bonus?.. and a quick want! Have any other US stores announced any kind of bonus? Also! A literally very, very quick want. 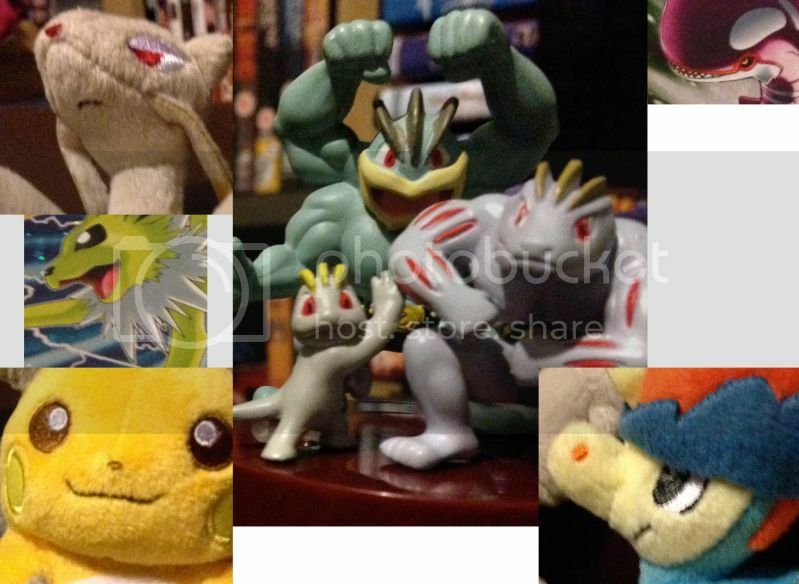 I'm looking for any of the Klink/Klang/Klinklang My Pokemon Collection plush. What makes it literal? I'm hoping to find a US seller who can ship out Monday, because I'd like a travel buddy for Nintendo World's BW2 Pre-release event on Saturday! 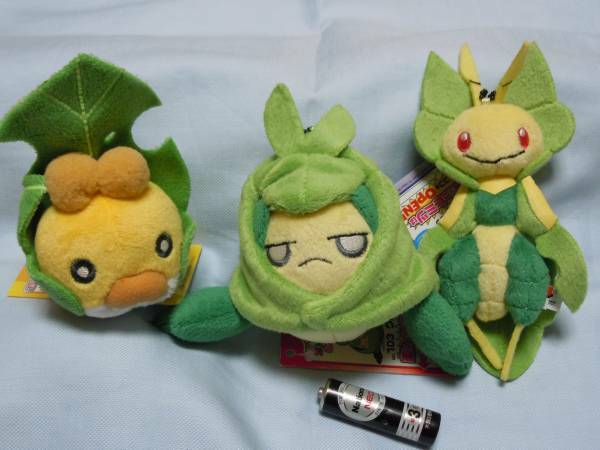 >_> I will take any one of them, but my preference is in order of highest evolution. Even if my requirements aren't met, I still might be interested in a purchase. Thank you! OH, is anyone else going to be attending Nintendo World for BW2 or NYCC? ☂ Audino's Mailbag - Updates from a UK Postal Clerk! Hi everyone! Please, allow me to re-introduce myself. My name is Raine and I work in a post office here in the UK. I'm mostly a lurker, so for the unfamiliar, I'm a Zapdos collector, zukan enthusiast and shameless N fangirl. I realise that the focus of our fair community is usually on merchandise and collecting, but at the same time, we wouldn't be anything without the postal services we rely so much on! As a post office worker, I'm in the position that I get information before it's made widely available- we get a company-wide magazine on a Friday that mostly lists updates to things like sales or policies. However, every now and then, we get information that I'm sure many of our UK-based sellers (and even some of our international buying friends) might find beneficial! When I get anything that might be of use to you all, I'll share it with you here!